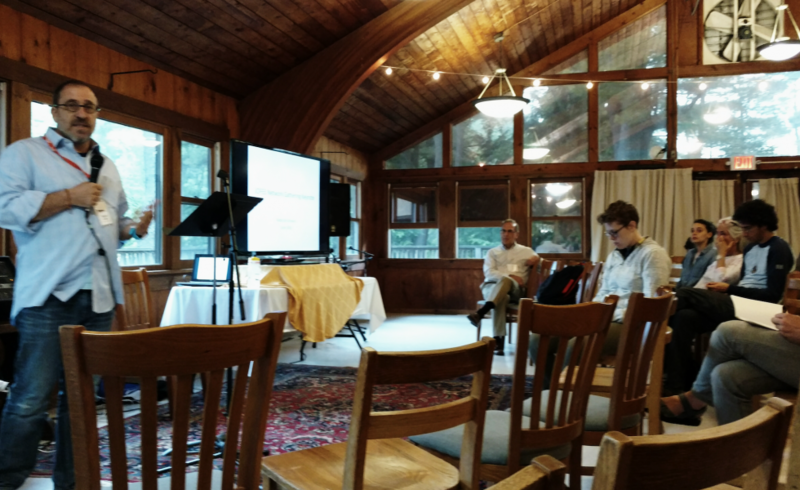 Recently, I attended the Jewish Outdoor, Food, and Environmental Education (JOFEE) Networking Retreat at Isabella Freedman Retreat Center in the Berkshires, Massachusetts. For a little over three days, experts in their fields⎯ranging from rabbis to environmental educators⎯gathered to strengthen their knowledge base, expand their teaching skills, and grow their network. I attended workshops on Jewish animal ethics, classroom activities about animals, and engaging youth with animals through text study. There were many takeaways, but I think the most important one was how hungry many of us were to learn more about our ancestors’ relationship with animals and discuss our own struggles to connect with the many creatures that surround us. How do we continue to embrace our connection with animals without causing suffering? What is the compromise between maintaining tradition and moving forward with the times? Perhaps it is the fear, the fear among many, that if we do away with the customs of our ancestors, we may lose our connection to them, and if we lose that, what else might we lose? Could it be that it is our inability to trust in the survival of Judaism while making modifications to ritual and tradition that keeps many of us from embracing change?